Applicants need job in a reputed organization then Bihar State Power Transmission Company Limited is the best option for them. To publish this job notification has been broadcasted as BSPHCL Recruitment. Online Application Form is invites for fill up the Assistant Operator, Switch Board Operator – II, Junior Line Man & Technician GR-IV Vacancies from all eligible male/ female candidates for this recruitment before the last date. 10th pass/ ITI pass applicants are allowed to apply for given recruitment. Bihar State Power Transmission Company Limited invites applications according to requirement from the eligible candidates to fill up 2050 vacancies of Assistant Operator, Switch Board Operator – II, Junior Line Man & Technician GR-IV. Well qualified and authenticated job finders may apply for this recruitment on or before closing date. Job seekers may check all the connected highlights about BSPHCL Recruitment notice such as required qualification, age limitation, application charge, selection process, how to apply etc which are disclosed on this web page by our web portal. Educational Qualification ->> Applying candidates must have passed matriculation or its equivalent from recognized institution And Technical Qualification - Must have ITI Certificate in Electrician Trade from any Institution recognized by National Council for Vocational Training, New Delhi ( NCVT )/ State Council for Vocational Training (SCVT ). Age Limit ->> Candidate’s age must be minimum 18 years & maximum 37 years. 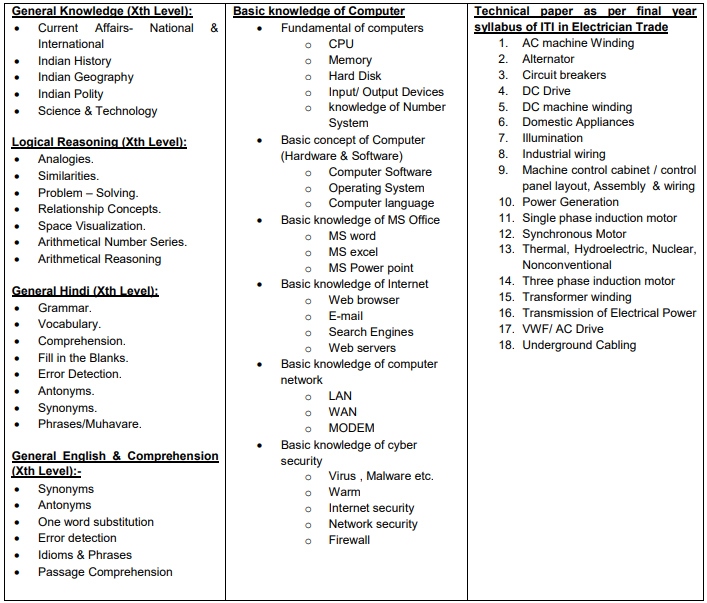 Selection Process ->> Computer Based Examination (CBT). Appliers will deposit the fee through online mode using Net Banking/ Debit Card/ Credit Card. For more info about BSPHCL Recruitment like as educational criteria, age criteria, process of selection, salary package, information of the posts, very important dates etc visit the Official Website. About Organization ->> It is also known as erstwhile Bihar State Electricity Board. This organization is a state-owned electricity regulation board operating within the Bihar state in India nation. The organization was founded in nineteen fifty eighty (1958) as a statutory corporation under the Electricity (Supply) Act, nineteen forty eight (1948). As of November 2012, Bihar State Power Transmission Company Limited has nearly 1,700 officers and 14,850 employees. The derated capacity comes to just five hundred thirty MW. The organization was unbundled on -02-08-2011.